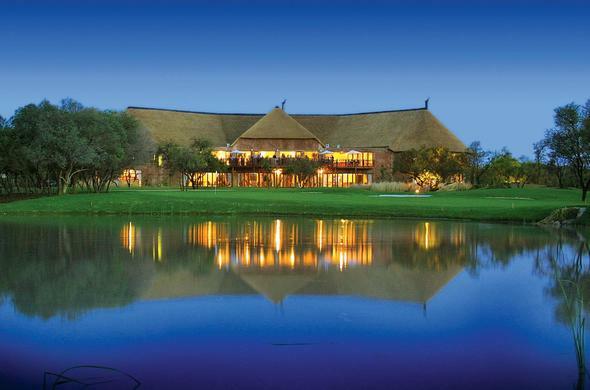 Situated in a malaria-free game reserve in Limpopo, Zebula is a superb bush, golf and spa destination. Enjoy an Elephant back-safari in South Africa and a host of recreational activities to suit leisure and business guests alike. This Limpopo safari lodge and spa has something for everyone. Enjoy resort activities, golf, game viewing and spa treatments in the malaria-free Waterberg Mountains. Hold a Lion cub, walk with a Tiger or learn about the Cheetah and how fast they really are. The 18-hole Peter Matkovitch designed course is perfectly maintained and offers lush fairways in the bushveld. Game can often be seen wondering onto the greens - this is a truly African experience. For your next business get-together or conference, look no further than the Zebula Estate. You'll find top notch facilities and a number of stylish venues, the largest seating up to 180 guests. Experienced and professional staff will see to all your needs. The Zebula Spa has all the latest equipment and treatments as well as a heated indoor pool, relaxation garden and health bar. Guests at Zebula will be spoilt for choice in exciting things to do on safari - game drives and bush walks amongst other exciting game viewing activities.